Who will be the next China? That’s the question on everyone’s lips as we enter 2013. The front-runners are India, Brazil and Russia. But as well as the BRIC nations, there are other dark horses that may feature in the global market. Now that protectionist regulations have been staved off and Brazilian wine producers have come to a provisional agreement over wine imports. There are still things that need to be ironed out though. For example there are talks of a minimum price for all imported wines, which would obviously harm the market and make it difficult for distributors to break into the country. The overall aim for the Brazilian wine industry is to double sales by 2016, reaching a sales volume of 40 million litres per year. The shorter-term aim for 2013 is to increase sales by 35 per cent to 27 million litres. Russia’s wine market is almost exclusively wine for consumption rather than investment. The volume of the wine market has risen from 409 million litres in 2000 to 1058 million litres in 2011, so the market has more than doubled in the last decade. Modern Russia is synonymous with the modern billionaire. Once a few of the oligarchs start to boost the wine market in Russia, there is bound to be a bump in investment opportunities. Added to the fact that Russia is outside the Euro means that it has avoided the economic crisis on its borders. 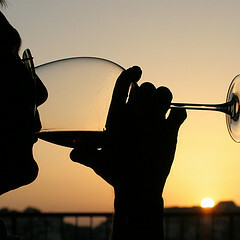 With 1.2 billion people (and rising), India is thought by many to be the untapped wine market of the near future. The current size of the total wine market stands at 1.2 million cases and it has been reported that the market is growing at a rate of 25-30 per cent. However the wine consumption per capita is miserly; only two teaspoons per person! With a growing middle class developing Western aspirations and tastes, that figure is only going to go one way. Small cultural changes, like Bollywood actresses drinking wine on screen, combined with a concerted marketing and PR effort by wine companies, will ensure India is the number one target for the industry in the coming years. In the final part of the report tomorrow we will focus on the dark horses of the global wine market: Nigeria, Mexico and Poland.